Moving can be stressful especially if you are relocating to Central Florida. We can be your best resource in moving to Central Florida. Metropolitan Orlando and Central Florida claim a fast-growing, diverse, young, and educated population. Employers throughout the region span a broad cross-section of traditional and emerging industries, taking advantage of one of the nation’s top ten locations for business and to raise your family. This might be why you are considering moving to my wonderful area of great opportunity Central Florida and Orlando. Relocating can be stressful, expensive and time consuming, regardless of whether you are relocating for a job, retirement, or even a short-distance move for better schools. With it, you risk the expense of buying a new home and selling your existing home, and the time and effort of moving your family to a new location where you hope they will be happy. This is where we come in. We have helped out many families and professional relocated in the past. You need a confidential and professional relationship with a real estate broker that identifies you and your family needs and has years of professional experience. I can harness one of the largest databases of neighborhood statistics ever created to reveal neighborhoods that meet criteria you choose, in any city in Central Florida. Then, you can narrow down were you want to focus and identify a specific area. We can scout out areas for you with follow-up reports and even content media or material found in the local area of your interest. Look at us as your personal home and neighborhood shopper. We also have a personal network and local connections to assist you with your relocation whether your buying or selling in Central Florida. We also know that our past clients like to do their own searches in some areas of interest and look for specific features and places of interest. We have compiled a neighborhood connect page which is an outline of all the Central Florida and Orlando. This outline is will help you generate some general information of the areas like the life style and community amenities plus the specific home sale inventory for a specific area of interest. Although this is a very informative outline and a great help your decision making please look over our web site visiting our property listing search pages and community information. Most importantly you will need the human element in us to give you help and guidance to assist you with all your real estate needs and relocations. Please look over the Outline we titled the Orlando and Central Florida Lifestyle and enjoy the data, information and web links we collected for you and our past clients. The idyllic setting that has cemented Metro Orlando’s and Central Florida position as the world’s top vacation destination has also attracted a flood of newcomers. This rapidly growing area is equally appealing to nature lovers and outdoor enthusiasts, growing families, professionals, and retirees. Thousands of lakes combine with rivers, access to Atlantic Ocean beaches, forests, pinelands, wetlands, marshes, and rich farmland for one of the nation’s most diverse environments. Central Florida has preserved countless lakes, rivers, and wilderness areas in their pristine, unspoiled state. Riding academies and stables offer trails and lessons, many of the golf courses are nationally ranked, fish-laden lakes attract avid anglers, and rolling rivers like the Econlockhatchee or the Wekiva are ideal for canoe trips. Cutting-edge indoor facilities include the YMCA Aquatic Center in Orlando and the RDV Sportsplex in Maitland, the training home of the famous Orlando Magic NBA basketball team. The Sportsplex offers first-rate amenities from ice rinks to basketball courts, tennis courts, and fitness equipment. Professional and collegiate sports events keep fans cheering in spectacular arenas. Tourism has driven quality commercial expansion throughout the area, creating a mecca of restaurants, shopping malls, and entertainment centers. Bargain hunters can spend the afternoon in quaint districts off the beaten path, or meander through the stores and specialty shops in regional malls. Restaurants from casual to elegant serve the finest cuisine, many with outdoor patios that take full advantage of Florida’s blue skies and cooling breezes. Throughout the four seasons, Orlando plays host to festivals and celebrations. Casselberry is known for its Oktoberfest and Scottish Highland Games. The Florida Film Festival rolls into Enzian Theater each year, attracting such cinematic legends as Oliver Stone and Paul Newman. Among the many other cultural treasures are the Bach Festival Society, the Orlando-UCF Shakespeare Festival, Southern Ballet Theatre, Orlando Philharmonic, and the popular Orlando Opera Company. Events that feature top artists constantly fill the calendar, with majestic venues catering to audiences in the tens of thousands. Museums are first-rate and abundant. Some present fine art displays, while others preserve the legacy of the past or explore the possibilities of the future. The Charles Hosmer Morse Museum of American Art is a jewel in the crown of the Central Florida art community, claiming the world’s most impressive collection of Louis Comfort Tiffany stained glass. 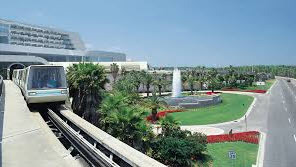 The Orlando Science Center encourages exploration with hands-on exhibits that fascinate all ages. These are the home inventories of the places most requested and ask about from the clients we have relocated or sold their homes in central Florida. Click on the city/community of interest to view the local home sales. Below each city/community of interest is an outline of all the relative information and links to the central Florida area government, amenities, statistics, education and community outreach. There are three necessary and important elements in the buying and selling process and that is having a team of professionals that have the tools and resources. You will need a lending professional that will help you through the qualifying process, a diligent Title company and investment in a home warranty for both the property you buy or sell. We offer our clients full real estate service that will help you from contract to closing which is an important part of the relocation process. Our partners will take care of everything related to your buying to selling and answer all your questions. They also work close at hand with us to make sure that all your needs are satisfied. We can put you together with our partners and work with them while taking away the stress in your property search or relocation. For more details and information on our partners give us a call. We point out again, Metropolitan Orlando and Central Florida claim a fast-growing, diverse, young, and educated population. Employers throughout the region span a broad cross-section of traditional and emerging industries, taking advantage of one of the nation’s top ten locations for business. Starwood Hotels & Resort Worldwide Inc. 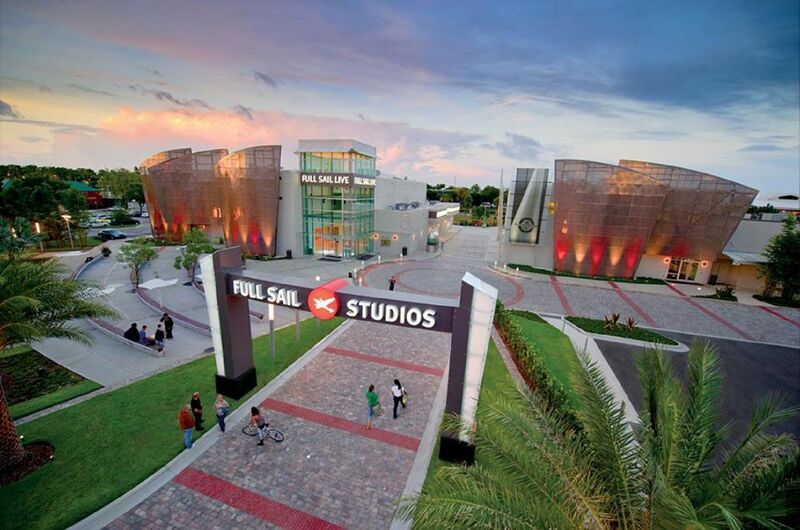 Source: Nexis.com, Direct Company Contact, & Orlando Sentinel Book of Lists. Few locales in the nation can rival South Florida its combination of superb quality of life with affordable housing and a low cost of living index. The area’s balmy climate, robust economy, waterfront lifestyle, and world-class entertainment centers offer unsurpassed advantages in one of the nation’s most affordable regions. Click on the links below to access the US Census Bureau’s Quick Facts community demographics data. In this area of the Census Bureaus web site you can get a quick snapshot of up to the minute information about any community or town in the United States as compiled by the Federal Government. For the most comprehensive listings and information about any school in the United States, click on one of the links below to access the US Dept. of Education’s list of links to every school district in the United States and to find out detailed information about every school district by state, city or town. Florida residents enjoy living in a state that imposes very few taxes. The majority of revenue is derived from sales/use tax and intangible and corporate income tax. Florida has no personal income tax. You are considered a Florida resident when your true, fixed, and permanent home and principal establishment is in Florida. Filing a declaration of domicile, qualifying for homestead exemption, or registering to vote in Florida can establish residency. Obtaining a Florida drivers license only indicates an intent to establish residency. Florida’s sales tax rate is 6 percent. Each retail sale, admission charge, storage, use, or rental is taxable, along with some services. Some items are specifically exempt. Some counties impose an additional tax that can be called a local option tax, county tax, or local general sales tax. Unless specifically exempt, merchandise purchased out of state is subject to tax when brought into Florida within six months of the purchase date. This “use tax,” as it is commonly called, is also assessed at the rate of 6 percent. You will need to complete an “out-of-state purchase return” form when filing and paying use tax unless the tax owed is less than $1.00. Florida repealed its intangible personal property tax effective January 1, 2007. You may register to vote if you are a U.S. citizen, at least 18 years of age (you can pre-register at 17), and you are not a convicted felon unless your civil rights have been restored. You can apply to register to vote at any time. However, to vote in an election, you must be registered in the county where you live by the book closing date, usually the 29th day before each election. 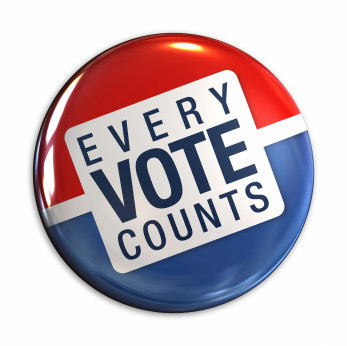 Absentee ballots can be requested from the County Supervisor of Elections by mail, telephone, or via website. Provide the last four digits of your Social Security Number, your name, residence address, date of birth, and voter identification number. The League is a nonpartisan political organization that encourages the informed and active participation of citizens in government. The organization assists voters in many ways while they work to increase the understanding of major issues. These charming trolleys travel throughout the international resort area to offer visitors a convenient and cost-effective transportation system. LYNX provides public transportation for residents of Orange, Seminole, and Osceola counties including extensive bus service, paratransit, free bus service in downtown Orlando, and roadside assistance. LYNX also partners with Votran (Volusia County Transportation Authority) to offer Express Service for commuters who travel daily from Orange City to Orlando. LYNX supervises this shared-ride, paratransit, door-to-door van service for those with disabilities. Call for eligibility requirements. Free public transportation makes it easy to navigate downtown Orlando. High-tech kiosks give the location of the next Lymmo on the three-mile circuit and estimated waiting times. During regular working hours, Lymmo maintains a 5-minute frequency. Serving residents of Volusia County, VOLTRAN offers fixed-route bus service, paratransit service, a beach trolley, and commuter assistance programs that include ride sharing and van pooling. Greyhound maintains stations in major cities like Orlando, Kissimmee, Sanford, Deland, Leesburg, New Smyrna Beach, and Daytona Beach with stops in many other Florida cities. Amtrak maintains stations in Orlando, Winter Park, Sanford, Kissimmee, and Deland. Sanford is also the southern terminus for Auto Train Service, allowing passengers to transport themselves with their vehicles to and from northern Virginia. Amtrak connects Central Florida with other “sunshine state” cities like Tampa, West Palm Beach, and Jacksonville as well as metropolitan destinations out of state. 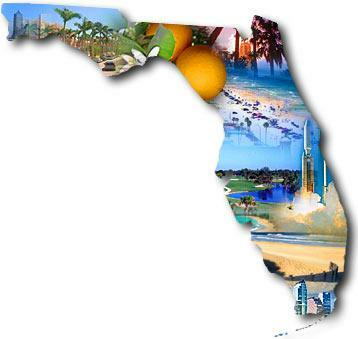 Newcomers must apply for a Florida driver license within 30 days of establishing a permanent residence. Those with a valid out-of-state license are usually required to take only the vision test. Others will also need to pass a written exam on road regulations and traffic signs and a practical driving test. Those under 18 years of age who are applying for a license must hold a learner’s license for at least 12 months or until their 18th birthday, avoid incurring any traffic convictions, and be certified by a parent or guardian to have at least 50 hours of behind-the-wheel training. A full operator’s license will not be issued unless these requirements are met. To avoid delays, make an appointment before visiting the licensing office. Although new residents must obtain a driver license and register their vehicles at an office site, driver license renewals and address changes can be complete over the Internet, by telephone, or by mail. The Web site offers a form that can be printed out and mailed along with the fee. Florida law requires that all occupants of the front seat use properly installed seat belts regardless of age. Any passenger under the age of 18 must use a properly installed seat belt regardless of position in the vehicle. Children five years of age or younger must be protected by properly using a crash-tested, federally approved child restraint device. For children through three years of age, the restraint device must be a separate carrier or a vehicle manufacturer’s integrated child seat. For children from four through five years of age, a separate carrier, an integrated child seat, or a seat belt may be used. The child restraint laws are primary, which means that a driver can be fined for non-compliance without being stopped for another violation. Walk-in medical care is available for urgent medical needs from the flu to broken bones. More cost-effective than hospital emergency rooms, these centers are ideal for newcomers who have yet to establish a primary care physician. Ten institutions and a wide variety of off-campus centers are encompassed within the Florida State University System. Two of the universities operate academic health centers that combine to offer medical, dental, veterinary medicine, pharmacy, public health programs, health-related professions, and nursing programs.